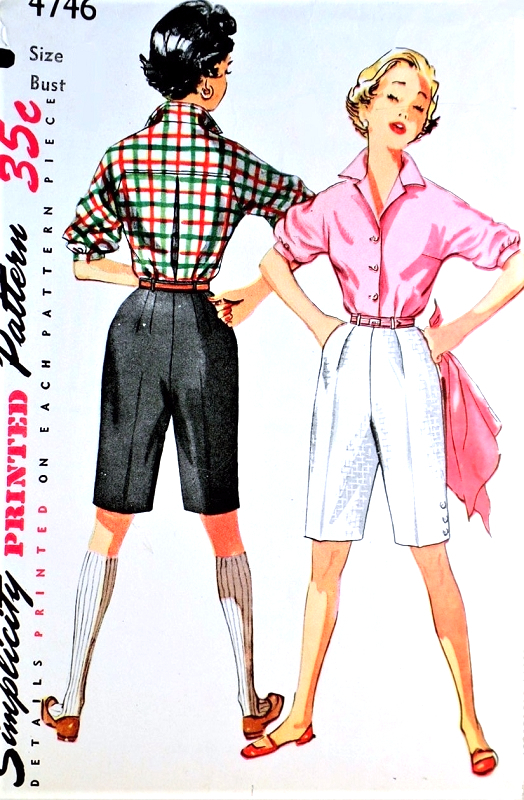 Simplicity 4746; ©1954; Junior Misses' and Misses' Blouse and Shorts: Blouse is open at the neck and features a pointed collar. 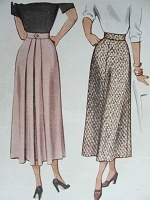 Three quarter push up sleeves, cut in one with the blouse front and yoke back, are gathered and join a band. There is a pleat at center back. Shorts are fitted with soft pleats in front and darts in back. A zipper closing is in left side seam and a pocket in the right. The side openings at the lower edges of shorts are trimmed with buttons. A belt is slipped through belt carriers and fastens at center front.